Cranford, NJ—American Atheists stands in solidarity with those affected by the heinous terrorist attack at the office of the satirical magazine Charlie Hebdo in Paris Tuesday. We mourn the lives lost, offer our condolences to the families of the victims, and condemn this assault on free expression in the strongest possible terms. This attack, reportedly carried out by Islamic extremists shouting “We avenge the Prophet Muhammad,” is not the first against Charlie Hebdo, which was firebombed in 2011 after it listed Muhammad as a “guest editor” of the magazine and published satirical cartoons featuring Islam. 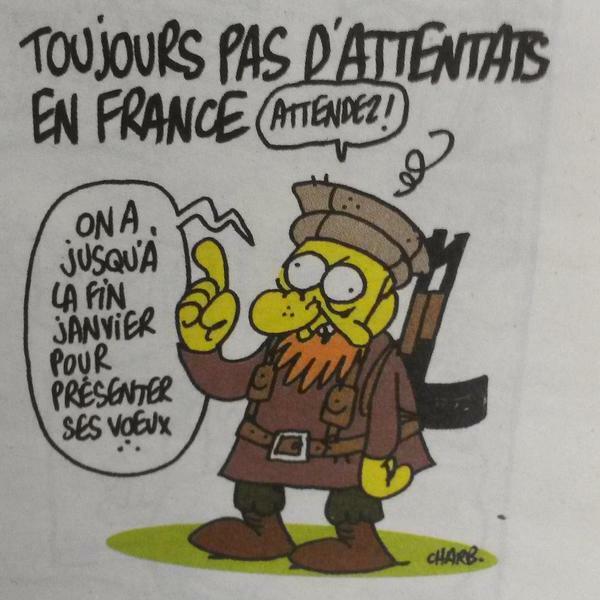 Charlie Hebdo has spared no target, mocking religious extremism of all stripes, politicians, celebrities, and others. American Atheists will continue to strongly defend the absolute right of all people to criticize all ideas, including religion. We condemn any attempt to place the “rights” of ideas above the rights of people. We will stand with Charlie Hebdo by publishing and sharing the images found so offensive by these terrorists and we call upon media outlets, organizations, and individuals to do the same. As a member of the International Humanist and Ethical Union (IHEU) and the International Association of Free Thought (IAFT), American Atheists stands with our partners in France and around the world in defense of free expression.